Sphero is a neat little robot ball, but should you choose the regular 2.0 version, the see-through educational SPRK edition or the cute BB-8 with a balancing head? Tough choice. Let's take a look at the options. 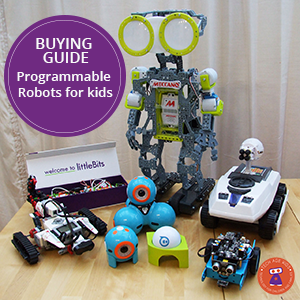 We had to make this decision recently, we'll explain which Sphero we chose and why. You might make a different decision due to the things that are important to your family, club or school. Please note this article has been updated significantly from the original to reflect changes in the Sphero product line including the new Sphero SPRK+, the BB-8 Gesture Control Force Band, Sphero Mini and BOLT. Update 2017: Sphero have announced BB-9E another spherical droid and an R2-D2 unit. Update: Sphero have announced SPRK+, an update to the SPRK edition, this article has been updated to reflect that and add some more useful information. Update: There's now a BB-8 Force Band which works with the Spheros that have Bluetooth smart. Sphero is a gyroscopic robot ball with an accelerometer and coloured LEDs. It moves really quickly and has sensors and coloured LEDs. Sphero has a variety of apps (check for compatibility with the different models) which can be used to play fun games or to learn to code. Note that we haven't included Sphero 2.0 as it appears to have been discontinued. Sphero R2-D2 is a rather different droid to the others, we've included it for completeness, but you probably know if it's the droid you're looking for. The transparent SPRK+ now seems to be the main full-size Sphero model. Most Sphero apps now work with the SPRK+. The SPRK+ has a clear shell so you can see the electronics inside. There's also a SPRK Lightning Lab educational app which teaches coding with a drag and drop interface. Sphero SPRK+ was new for 2016 and has Bluetooth Smart. You will still find Sphero 2.0 models from some sellers. This version was released in 2013 and has a white shell. There are various Sphero apps that work with the 2.0 that allow you to play games with Sphero and learn to control it. BB-8 is a themed version of Sphero based on the cute spheroid robot from the Star Wars The Force Awakens movie. BB-8 has a head perched on top of the moving ball and has apps and features that tie in with the movie including a Holographic message feature. For 2016 there's a new special edition Battle Worn BB-8 plus a Gesture Control Force Band. The Force Band works with any of the Bluetooth Smart Sphero devices (including Ollie) not just with Sphero BB-8. BB-9E is a new model for 2017 to tie-in with the Last Jedi movie. Sphero BOLT is new for 2018, and this model is the same size and has the clear outer covering as SPRK+, but it now comes with a programmable 8x8 LED matrix. Sphero Mini is new for 2017, it's a smaller version of Sphero with some cost reductions to make it more affordable. Sphero Mini has a shell that opens so that you can plug the device in for charging. The larger Sphero's are charged with an inductive base and are sealed and waterproof. This is a great feature for playing in water, outdoors and for messy projects such as driving through paint. But you can do loads with Sphero Mini without needing this feature. Sphero Mini comes in a range of bright colours and you can buy different shells to change to look. This means that these robots have real girl appeal. We love the cute range of bowling pins and traffic cones that come with Sphero Mini, you get three of each in the pack and can buy more. 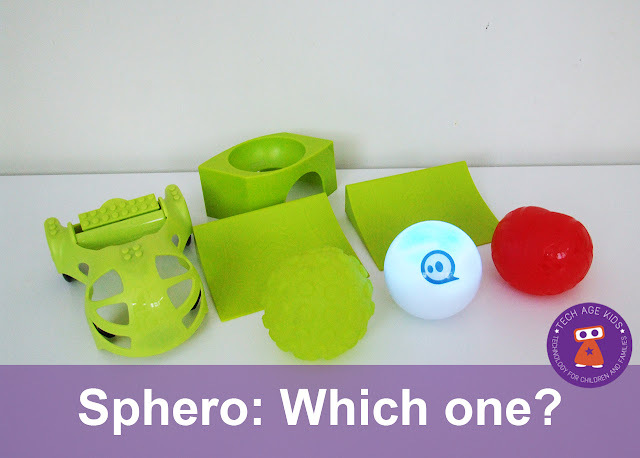 The key difference between Sphero 2.0 and SPRK is the shell. SPRK has a clear shell so that you can see its electronics, the inductive charging base is also transparent. This is a fantastic feature. 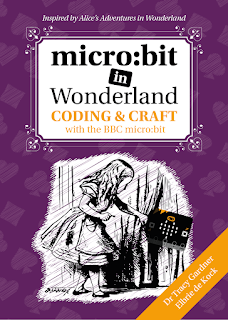 It's really important that kids see tech as something they can understand rather than as a magic black box. I often take old toys apart and show my kids how they work. Here's one that you don't have to take apart. Having said that, you could just look at images of the internals of the Sphero or look at a Sphero teardown and you'd still learn about how Sphero works. There's also a Sphero SPRK educational app with content to teach kids about coding. But this app also works with Sphero 2.0 so it isn't SPRK specific. The packaging for SPRK is different and includes a design notebook and protractor. I'm not sure how the design notebook is intended to be used in schools (who gets it?) but this is a nice touch for home use. Update: There's a new SPRK+ edition for 2016 which makes the transparent shell more scratch resistant. It also updates the Bluetooth capability with a tap to connect feature which is very useful when you have multiple devices in a classroom or club content. BB-9E and R2-D2 are new for 2017. BB-9E is a BB-8 style ball with magnetic head style robot. BB-9E works with it's own app and has features for interacting with the other Star Wars Droids. You also get Watch with Me movie interaction (which is very neat.) It also works with the Force Band. We're pleased that support for Sphero EDU has been announced for the fall and the Swift Playgrounds app also supports BB-9E (including programming its head LED) and R2-D2. For R2-D2 there is custom story-led content. R2-D2 is quite a different style of robot and can move it's tripod leg from standing to moving mode, and there's a speaker too. Star Wars fans will love the awesome Sphero BB-8. It's the same basic robot as Sphero but with a movie-accurate design and a balancing robot head. The BB-8 themed charging base looks fantastic. Very very cool. Update: There's a 2016 'Battle-worn' version of Sphero BB-8 and also a gesture control band. For a Christmas day main gift, BB-8 is a fantastic choice. Having BB-8 wobbling around the Christmas tree would be pretty amazing, especially since the movie will have come out by Christmas and fans will be in full-on fan mode. The app shows BB-8's sensors in Star Wars style so there's very much the feeling that this is a droid packed with technology. It's hard not to lose my head over Sphero BB-8 (sorry!) I love the character. We've even met a lifesize BB-8. If I was looking for a fantastic fun tech toy BB-8 would easily win. The Sphero SPRK educational app has been updated to officially support BB-8 so you get the educational content and ability to program as well as the Star Wars branding and features. Some of the original Sphero games apps also now work with BB-8. It's worth noting that the Tickle blocks based programming app for the iPad also has support for BB-8. Update: BB-8 now also has a cute watch-with-me feature so it can interact while you watch the Force Awakens movie. There are apps that use Sphero as a games controller, there's a fun Sphero Color Grab app that we've used as a party game and there are coding apps that allow kids to learn programming using their Sphero. Sphero is well thought out and its ball design means that as well as being able to move around as a floor robot it can also be picked up and interacted with through its acceleration sensors. This means that there's a lot more to Sphero than first meets the eye and gives the robot ball a depth and longevity that you might not expect from its outwardly simple design. You can also get some cool accessories for the Sphero 2.0 (also compatible with other Spheros), my kids' favourite is the chariot which has a LEGO-compatible area for building on with bricks. Sphero 2.0 is often packaged with 2 ramps. Bluetooth is one of the features that differ across the models. Sphero 2.0 must be paired with in the settings and then unpaired if you want to pair with it from a different device (in a multiple device household you may be left trying to find out who is paired with Sphero!) But the pairing is pretty reliable and will work with older devices. Sphero SPRK uses the older Bluetooth and requires pairing whereas the new Sphero SPRK+ uses Bluetooth Smart which makes it easier to use in an educational environment with lots of devices. The new Sphero Force Band works with the newer Sphero devices that support Bluetooth Smart, including Ollie. Basically, our recommendation is to get a Sphero of some sort! For home use, unless you're major Star Wars fans or want Swift playground support, we'd give the new Sphero Mini a try. In fact, because they're so much less expensive than the other Sphero robots, we'd get two because it's fun for family members to play and learn together. (The original version of this article was written a while ago and we chose a regular Sphero with a full complement of accessories, but the range has changed a lot since then. We've got a 2.0 (as well as an Ollie) but I think we would have been just as happy with a SPRK or BB-8 (now the SPRK Lightning Lab coding app is supported.) Now that these robots have been around for a while it's worth checking for a used Sphero on eBay, you might get a good deal with accessories included as families upgrade or move on. Basically, our recommendation is to get a Sphero of some sort! 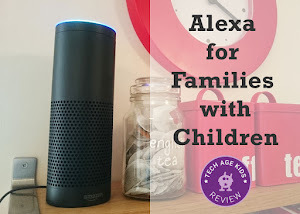 It's a very cool tech toy with lots of educational features. If you're family are into Star Wars then the BB-8 (with Force Band) is an awesome choice. You'll know if BB-8 is the droid you're looking for. If you're not so into Star Wars then the transparent SPRK+ is very cool. The older Sphero comes with ramps and works with older devices. Update: With BB-8 now being supported by the SPRK Lightning Lab coding and educational app, there's now a stronger case for BB-8. Ollie is another robot from the Orbotix family. He's a bit different to the ball-based robots. [Update: Here's our review of Ollie.] 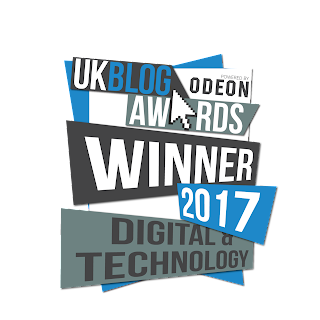 We cover Ollie vs Sphero in a separate post.